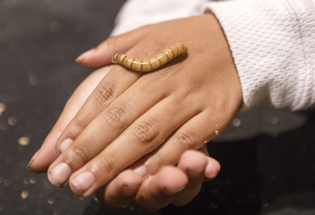 Every month, our visitors get up close and personal with some of our favorite critters from the natural world, thanks to our friends at Leslie Science & Nature Center! Join us for a meet and greet with critters from 10-4 on Saturday (with a mid-day “Animal Naptime”) and 1-4 on Sunday. This month the featured critters are worms and friends, and they're ready for their close up! Saturday, February 9 from 10 a.m. to 4 p.m. and Sunday, February 10 from 1 p.m. to 4 p.m.
Free with museum admission. Admission is free for members/children under 2, $12.50 for ages 2 and up.